You have been looking around to buy a used car. Did some running around. Finally shortlisted a few of them. You may think the hard part is over. But soon realise you have to do even more running around. Why? To get a good car valuation check of the condition & genuineness of the vehicle. Does that sound familiar? Check out this article on why you need to perform an independent car valuation check before the purchase. The local mechanic you engaged with does not show up and your seller does not agree to his/her car to be taken to a garage. And after getting all these done, you wonder about the accuracy of the car valuation check, how objective is it, whether the local mechanic has the required credentials to provide a honest car valuation check, etc. 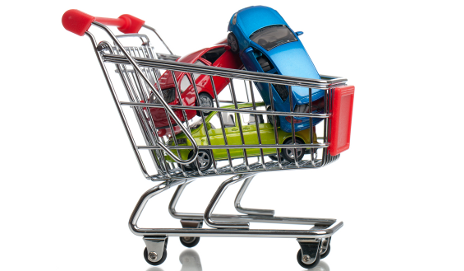 We at CheckGaadi, strive to make the car valuation process as hassle-free as possible to you. Our experienced technicians with duly verified credentials would come over to the sellers’ place where the car is located, perform a comprehensive and objective car valuation check in your presence. Learn more about how CheckGaadi is making this hassle-free for you here. As part of the car valuation process, we also provide detailed estimate of repair expenses you may have to incur on the vehicle. You may use these pointers to discuss with the seller and mutually arrive at a fair price. Our customer is always you, the buyer, and we work on your behalf to ensure your best interests. You can take a look at our sample report here to understand this service better. Some more dope on CheckGaadi Car Valuation is here. We would be happy to hear your thoughts about our services. Please write to us on support@checkgaadi.com or talk to us on 88741-88888. We are accessible pretty much during all waking hours 🙂 So don’t hesitate and talk to us now! Even better would be to grab a cup of coffee if you are in this part of the town.